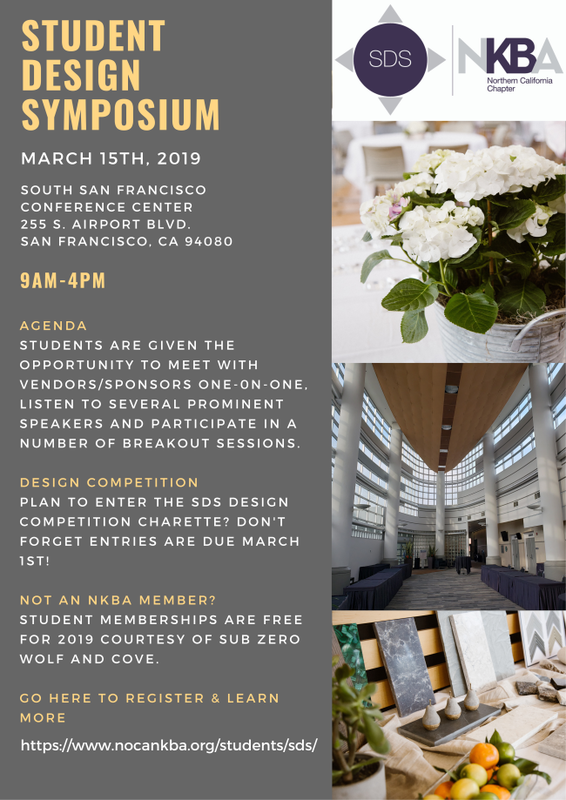 You may have seen reference to our upcoming Student Design Symposium. We announced this event to NKBA National, and they are so excited about the educational content that they are offering .4 CEUs to NKBA Certified professionals to also attend! This is a great opportunity for you to network with our sponsors this year, meet with students - some of whom will be graduating soon, and gather those CEUs! Lunch included! The venue is the South San Francisco Conference Center, near SFO. It is easily accessible via 101, and public transportation.